Diabetes is not an easy disease to have. Unlike other health conditions that can go into remission or reduce in severity, diabetes doesn’t stop. It is a 24/7, 365 days a year health problem. This month, the American Diabetes Association is celebrating Diabetes Awareness Month. The Association would like to see a world free of diabetes. 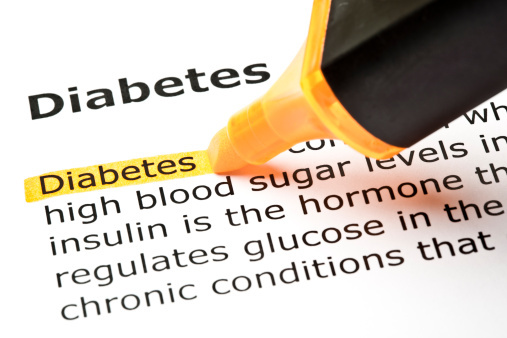 Not only are the professionals at the association concerned about those who are impacted by diabetes, but they are also heavily invested in preventing the disease. They are devoting a tremendous amount of time and resources to raise awareness about diabetes, and when you look at recent statistics about the disease, it’s not hard to understand why. According to the Association, 26 million children and adults in the U.S. alone have diabetes. That’s an astonishingly high number for any disease that plagues the developed world. Approximately 79 million are estimated to have pre-diabetes—a condition that leads directly to full-blown type 2 diabetes. Of those with diagnosed diabetes, two out of every three will die from a stroke or heart disease. Diabetes is also responsible for many of the new cases of blindness in adults. It is costing an estimated $245.0 billion to care for and treat diabetics. One out of every five health care dollars is spent on diabetes patients. Steps have to be taken to lower the incidence of type 2 diabetes—its symptoms are too far-reaching and debilitating to ignore. Here are 10 things you can do, based on recommendations from the American Diabetes Association, to significantly reduce your chances of ever having diabetes. Hopefully Diabetes Awareness Month will help shed light on this serious health issue. 1. Eat smaller meals and reduce portion size. In the 80s and 90s, the whole concept of “all-you-can-eat” meals became hugely popular. However, large meals that can’t be digested quickly and used for nutrients and energy will get stored as fat. To reduce your chances of putting on extra pounds, stay away from large portions. Opt instead for small or medium sized meals. Stop eating as soon as you’re full. 2. Keep hydrated. Drink a glass of water half an hour before eating a meal. This will help to stave off dehydration, which can make you reach for food. Sometimes the body doesn’t distinguish between being hungry or being thirsty, so it’s important to keep hydrated with water instead of forcing your body to search for liquids in foods. 3. Share dessert with a loved one or a friend. Often, you just need a few spoonfuls of ice cream or a couple bites of a brownie. Once the initial rush is gone, your body doesn’t need to keep eating sugary foods. Sharing a dessert could help keep your blood sugar within safe limits and reduce the amount of calories you’re consuming. 4. Eat a salad with lunch or dinner. Fill up on veggies first and then eat the main portion of your meal. You should find you need a lot less to feel full. 5. Chew your food and eat slowly. Both these strategies will give your body time to register that it’s full, cueing you to stop eating. 6. Don’t watch T.V. when you eat. People eat more when sitting in front of the tube. 7. Stay active five days a week, for at least 30 minutes a day. This is the minimum your body needs—make exercise part of your daily life and keep active! 8. Avoid foods high in salt such as processed meats. Salt can push your blood pressure higher than it should be. 9. Don’t fry—bake. Reduce the amount of oil you need to cook. Steam veggies and broil fish. 10. Make a grocery list before you go shopping. Going to the grocery store unprepared can trigger a bout of impulse buying—which usually means foods high in salt, fat, or sugar. Make a list of healthy foods and stick to it once you get to the grocery store. “American Diabetes Month 2013 Overview,” American Diabetes Association web site; http://www.diabetes.org/in-my-community/programs/american-diabetes-month/adm-2013-fact-sheet.pdf, last accessed Nov. 21, 2013. “Choose More than 50 Ways to Prevent Type 2 Diabetes,” National Diabetes Education Program web site, Jan. 2012; http://ndep.nih.gov/publications/PublicationDetail.aspx?PubId=72, last accessed Nov. 21, 2013.